The most complete description of the large theater to date was made by traveler Onorio Belli, who reports in 1586 that the theater was dug on a hill, its stage was richly decorated with columns, entablatures and other decorative elements, while he extolls the wonderfully manufactured capitals of the columns. He also located the positions of the sound effect vessels, which were the most intact he had ever seen. In the 19th century, the English admiral Spratt identified the theater, which was hardly visible by that time and measured its diameter to 154 feet (47 m. approx.). He also said that it was next to the watercourse, facing east. He believes that some of the statues that decorated it, came from Venice, while one of them is still today built-in at the Bembo Fountain in Heraklion. In pre-war photos of the property in “Viglia” where the theater is located, we can see ruins of 6-7 m. height, but according to reports, these were blown up by occupation forces during World War II because they were blocking the visibility of coastal machine-gun nests. 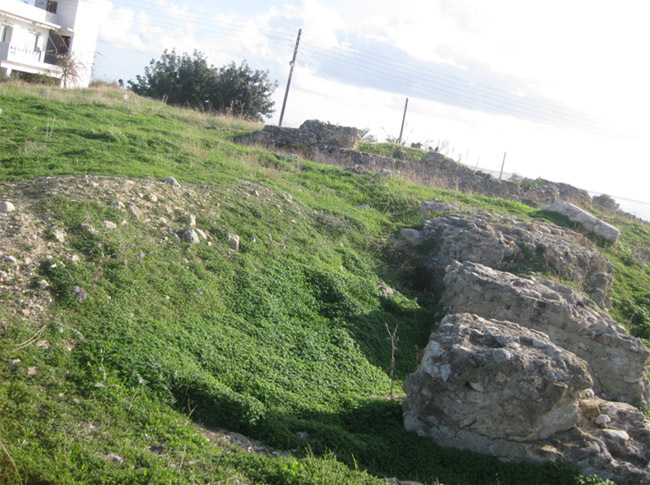 The area which is believed to be occupied by the theater today is within an urban piece of land, fenced by the 24th Ephorate of Prehistoric and Classical Antiquities (EPCA). 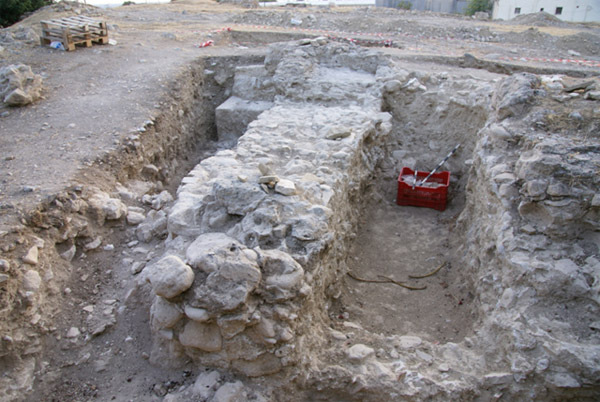 The theater has not been excavated yet. According to accounts of 19th century travelers, the theater has a cavea, orchestra and a stage building. There are no visible parts of the theater today. There is a published plan of the theater designed by traveler Onorio Belli in 1586. Spratt T.A.B., Travels and Researches in Crete, 1865. Falkener E, A description of Some Important Theatres and Other Remains in Crete, from a MS History of Candia by Onorio Belli in 1586. A Supplement to the “Museum of Classical Antiquities”, 1854. Spanakis S.G., Theater in Roman Crete, Minutes of 2nd International Cretan Congress, v. B, p. 142-168. Papadakis N. Ierapetra, The Nymph of the Libyan Sea, 1982. Ancient telescopic News, Issue 10, March 2011. 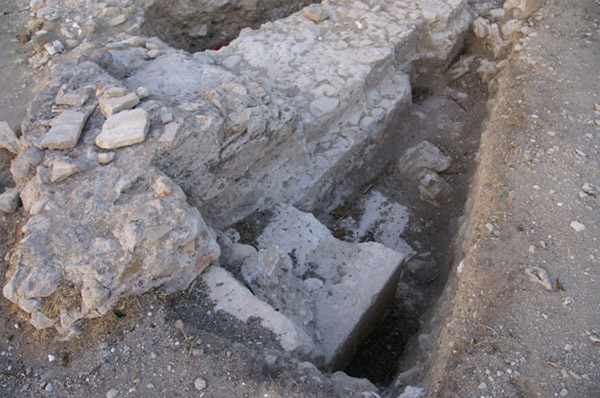 The non-excavated theater is located in the position “Viglia” within a field crossed by the peripheral road of Ierapetra-Vianno, where some architectural members and statues have been found in the past. 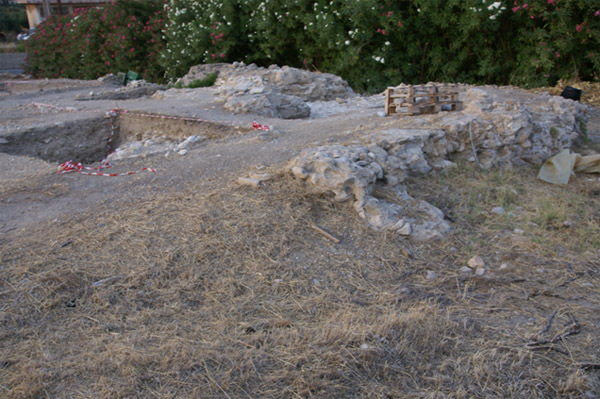 In pre-war pictures of the property, we can see ruins at a height of 6-7 m.
Roman theater. Precise dating is not possible due to lack of evidence. 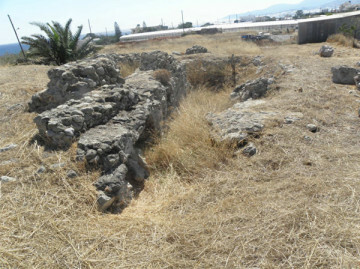 The area which is believed to be occupied by the theater today is within an urban piece of land, fenced by the Ephorate of Antiquities of Lasithi. 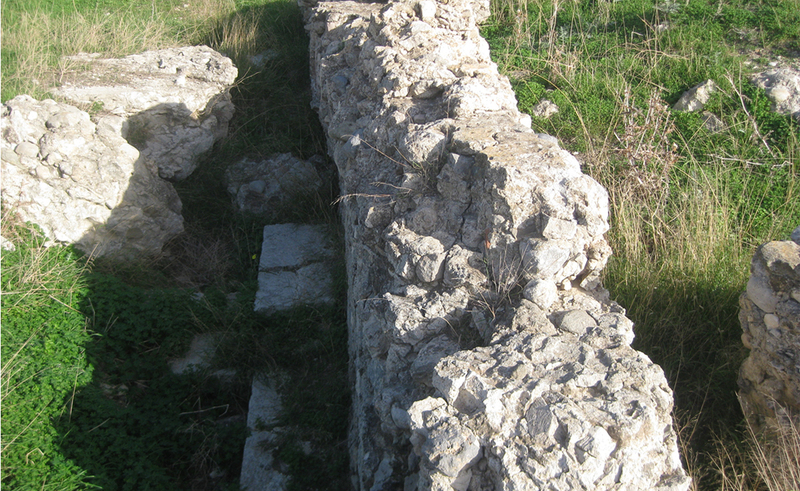 Small scale rescue research was conducted in 1980 by the Ephorate of Antiquities of Lasithi, which discovered traces of Roman buildings, three statues and an inscription. The geophysical survey conducted in 2010 gave evidence of a theater with an elliptical shape, architectural structures and roads. Apart from the grand theater, travelers who visited the area of ancient Ierapytna from the 16th to the 19th century, reported the existence of one more smaller theater, an amphitheater, which testifies the splendor of the city during the Roman period. Ministry of Culture and Tourism / Ephorate of Antiquities of Lasithi. • Geophysical research has already been completed through a Programming Agreement, which was funded by the former Prefecture of Lassithi. 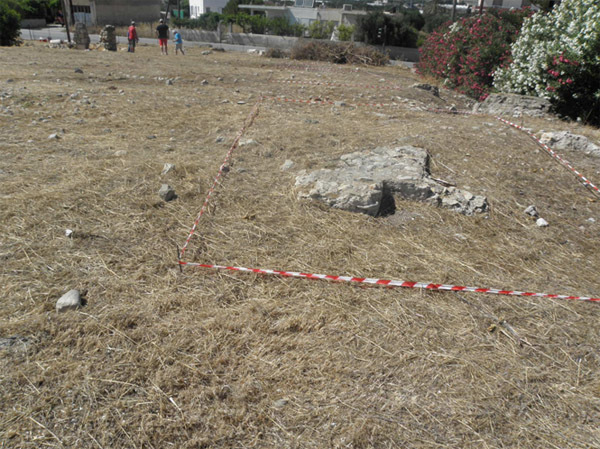 • The Programming Agreement amounting to 50.000,00 Euros was signed with the Region of Crete, for the excavation research in the area where the ancient theater of Ierapetra is located. • The monument has been cleansed by volunteers. • On May 15, 2014, the required modification of the above contract was signed. • Excavations are in progress. 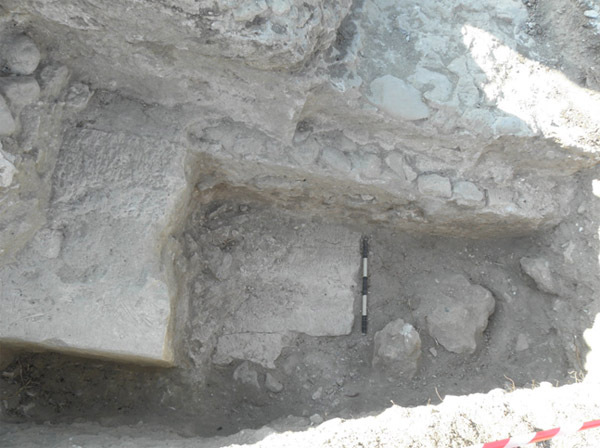 • The signing of a new Programming Agreement is being promoted in order for the excavations to be continued.